Vintage black, cast iron SPONG coffee Mill / grinder ; 6.75 in. tall. In good condition. Please check photos thank you. This chic coffee grinder was made by les 'Peugeot Frères.'. 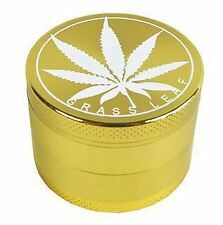 THIS GRINDER HAS A GREAT LOOK TO IT. Coffee Beans Grinder Vintage Spong 1 Antique Reclaimed Hipster Kitchen. Condition is Used. Dispatched with Royal Mail 2nd Class. Great condition. Nice item as photos and condition report. 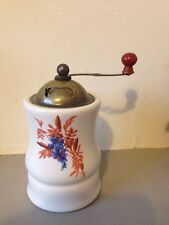 Vintage Spong no2 coffee grinder approx 23.5cm high,wall or worktop mountable,original sticker,some chipping to paint workings,lovely piece. 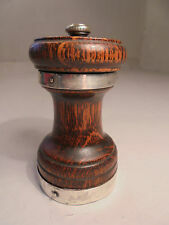 Garanti Vintage French Wooden Coffee Grinder. Condition is Used. These are lovely as display but will also still grind coffee or pepper. A genuine cast iron Spong No2 coffee grinder. You can add real character to your kitchen with this charming original PeDe Koffie grinder, used condition, - as seen in pictures. Wall mounted. Very unusual Vintage Trespade grinder/mill. Condition is Used. Made from solid wood (fruit? Sycammore? ) with brass/bronze top and handle. The base removes to retrieve the grindings. Grinding size is adjustsble I've used it to grind down cardamon seeds! This stylish electronic pepper mill is a great kitchen accessory and features an ingenious gravity tilt functionality that automatically starts grinding the black pepper corns when the pepper mill is tilted. 1 x T-Bar Pollen Press. Sadly I am in the process of sorting out my Aunt’s house. Still in its original box. Great for either display purposes or to actually use as it is in full working order. This grinder has been well used which shows where it has been handled so much. The piece has a polished cow horn handle,leading to a steel knuckle guard and onto the steel.The steel is marked WILLIAMS SMITHFIELD [ with logo ]. This nice old decorative butchers sharpening steel would grace any collection or sit very well in any period or contemporary setting. Vintage National Spong 25 mincer grinder with box. Vintage National Spong 25 mincer grinder with box.. Condition is Used. Dispatched with Royal Mail 2nd Class. This coffee grinder was originally made circa 1900 and is missing it’s glass tray and ceramic top. At some point, it has been made into an advertisement for a café or restaurant.The coffee grinder itself is metal and the back plate is wood. There is some damage as you can see, and some treated woodworm. The coffee grinder still works and the handle turns. For scale, the backplate measures 37 cm x 13 cm. It will be packed with care. Unpacked weight is just 1071g. We are happy to ship within the European Union. PayPal only and payment within 2 working days please. Delf Antique Wall Mounted Coffee Grinder (Leinbrock-werk AKT-GES). Condition is Used. Dispatched with Royal Mail 2nd Class. Nice old coffee grinder made by Spong England. Cast Iron painted black with trim in gold wooden handle grip. It is complete with it's tray for the ground coffee. It is in working order and an attractive item. This is an original pepper mill (Grinder) and made in cast iron and designed in 1964 by Robert Welch and part of the Victor range. It has the stainless steel mechanism marked Cole & Mason. 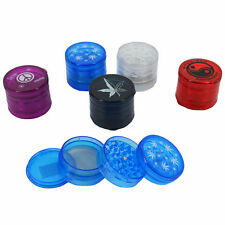 Stands at 5 3/4" tall (to the top of the wooden knob) This is a very sturdy item, weighing approximately 2 pounds. It has it's original black rubber stopper and the mill is all in good working order and condition - please see condition description. Cole & Mason offer a lifetime guarantee on this item. Vintage French Peugeot Freres Coffee grinder.Please look at photos. 20cms tall.Very collectable. Vintage French piece. In a good aged condition. Please don't clean it. Just put it on display and let everyone enjoy it. I combine postage uk. SMOKE free home. A Large Peugeot A1, 'Frère Brevetes' - Coffee Grinder. Cast Iron. The top twists and the beans are added. The handle turns and grinds the beans which are collected in the pull out drawer. The knobs are wooden and painted black. The condition is excellent - A1 condition. This is a wonderful example of a hand cranked, wooden coffee grinder in working condition which gives. a course grind. 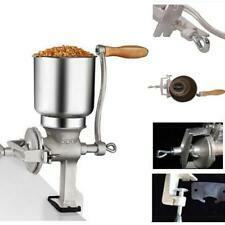 Vintage Retro 1960s SPONG MINCER N705. Condition is used. Please see the pictures for accurate guide to the condition. It is all complete with original box (although lid flap has become detached), instructions, mincer and all four original cutters. Still works or a nice retro display piece somewhere! Even still has it’s Design Centre London display hanging tab! 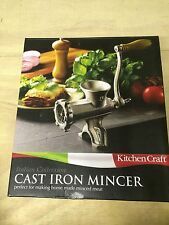 Antique/Vintage A. Kenrick & Sons Cast Iron Coffee Grinder/Mill No 1. Condition is Used. Dispatched with Royal Mail 2nd Class. VINTAGE SPONG NO.1 BLACK/GOLD METAL COFFEE GRINDER IN ORIGINAL BOX Box has some damage and top flap missing. See pics. 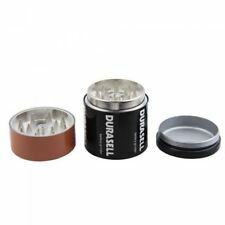 Grinder tested and working perfectly. Vintage Coffee Mill Bean Grinder With Drawer Hand Crank - needs restoring . Condition is Used. Dispatched with Royal Mail 2nd Class. As can see in pics this is in good condition.